What does tested to 50,000 shutter actuations mean? I'm Offended; Why Do People Call the D3200 Entry Level? Why are the eBooks supplied on a CD? Click on Books on the menu bar and find the Complete Guide for your camera. Order yours today. You'll be surprised at what you've been missing. 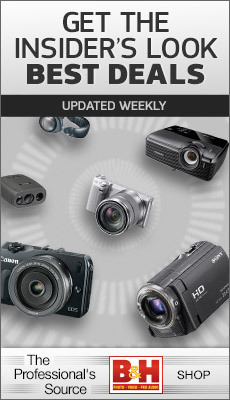 Guides are currently available for the D40, D40x, D50, D60, D80, D300, D300s, D600, D700, D800, D800E, D5000, D5100, D7000, D3, D3s, and D3x cameras, with more coming. Got an old 105mm F2.5 AIS from a family member. � It had some normal wear and tear and quite a bit of dust inside from the years if use. � Also the built in hood was worn out & very loose. �Decided what the heck, send this to Nikon for a couple $ in shipping and see if they will do anything to this older lens. Shipped the lens last Wed 2/19, hit Nikon's dock Friday ($7 UPS ground). �Had a repair estimate on Monday for $93 for a B2 repair. �(Believe that B2= moderate type repair in Nikon's world) �Approved it and the lens is back in my hands today 2/28. �To me that is fast, with 2 days of ground shipping on each end. Looking an the lens, all cleaned up, no dust on the inside, the focus ring rotation is now like my other 28mm AIS lens (smooooooth) and the built in hood now works fine. � Couple quick tests and everything looks good. � �Interesting and this may just my perception, but the focus assist >0< needed to be on the > to be in focus before sending it in. �Now the focus is better right on the 0. �Cool! This is going to be a fun toy. I got a brand new Nikon F100 from ebay with the glass inside the viewfinder broken. I sent it Nikon in Melville, NY and they did repair it. The replaced the broken part for a new one. It wasn't cheap (paid more of the repair than the camera), but considering I got a brand new camera back in perfect working order and with warranty... very happy with it. First, I couldn't complete the repair registration process online. There was some kind of problem at the website that prevented me from getting my mailing labels in PDF form. I sent an email via the Nikon USA website saying I was having problems. Two days later, I got a response email acknowledging issues with the site, and saying it should now work. It did when I tried again. Second, today, Feb. 28, I got an email saying my lens had been received and I could go online to approve the repair estimate. I did, or at least tried to. When I engaged the Approve button, I got a "server cannot be found" error message. I tried this three times, all with the same result. Third, I then called the Nikon USA service number, 1 (800) 645-6687. But the menu tree offered to callers DOES NOT (as at least of this moment) offer an option to contact Repairs! The phone menu was only offering choices ranging from 1) Nikon Store to 4) All other Technical Support. Of course, when I went to 4, I got only software, film camreas, sport optics and film scanners. Third, once I cleared that hurdle, I got to a live person in Repairs (option 5). After giving her my service order number, she couldn't find the order that corresponded to my name. Short version: it took five tries of giving her the order number before she said she "must have misheard" me and was putting in the wrong number. Fourth, a small point, the call center person then said she couldn't pronounce my surname and could she call me Mr. Floyd. I find this rather ironic given that NIkon is a Japanese company, but perhaps the irony was lost on her. Fifth, it then took another two minutes for her to get set up to take my credit card number to attach to the repair approval. Sixth, when this painful process was finally over -- I also told her to report the problems with the website and phone menu system -- I had spent nearly 17 minutes on the phone approving what should have been a simple repair approval order. I'm a pro shooter, and this lens is one of my go-to lenses. I understand things need to be repaired .... I've sent two camera bodies (film) and two lenses through this system in the past. But if my experience is indicative of the quality of Nikon "service," its a hell of a way to run a consumer-focused company. In mid-2010 I bought a used Nikon 70-200 VR I. By September 2012, the AF failed. I sent the lens to Nikon LA. The response was estimate repair B2 $432. Not having any idea what that meant, I authorized the repair. �I knew I was taking my chances buying a used lens so I had no qualms about paying for a repair. My issue here was I had no clue what the repair was. Could you imagine getting a auto repair or other any other appliance estimate as vague as that? No one would tolerate it. So I paid and I received the lens back within a very reasonable time and in time for my annual Eastern Sierra fall color trip. Invoice says replaced AF-S motion and various other parts. I unpacked the lens and turned the focus ring which squealed loudly like parts scraping against each other. I called Nikon CS. �They said send it back. So I over-nighted it back with a letter saying I needed it by the end of the week for my trip. A week after my trip, I got it back. The squeal was gone, but no apology, no offer to pay for my shipping. Nothing but silence. Fast forward to late June 2013. After using the lens about 8-10 times, the AF fails again. I contact a friend who is friends with a higher up person at Nikon in NY. He tells me the NY guy called LA and to send the lens back to LA specifically to Vic Zimmerman, who runs the repair center. Vic is expecting the lens and he will take care of it. So I send it back to LA. Then I get an estimate: Repair B2 $432. I call my friend, who calls his friend, who calls LA and after a week or so, it is changed to Repair B2, complimentary. The lens is repaired and sent back to me. Again, the final invoice says replaced AF-S motor ect., same repair that failed in less than a year. I certainly did appreciate the complimentary repair. However, it is not lost on me that absent my personal relationship, Nikon expected me to pay for the repair again. Further, I have no information as to why the AF-S motor failed in 9 months and no re-assurance that it will not do so again. It is not reasonable to pay $432 a year to keep this lens running. Nikon's response? Silence. "Mr. Zimmerman in the L.A. office has asked me to contact you regarding your lens. Most AF-S lenses can squeak if the manual focus ring is turned past the limits of the focus range. This has been tested with some of our lenses and is normal. If this is happening to your lens it does not need to come in for service." The lens is then returned to me with an invoice stating "check and clean", but this time it still squeals. None of my other lenses exhibit this behavior. This lens has only done so when it comes back from Nikon following a repair. No one I know who has Nikon lenses have lenses that do this. The very unscientific poll I posted on Nikon Cafe revealed that the few people who had lenses that did squeak, did so because the AF-S motor was failing. So now I am left with what do I do with this lens? I good conscience, I cannot and will not sell it without full disclosure which will significantly devalue the lens. I have no confidence in Nikon as a company doing anything about it. I realize I bought it used, but it is not gray and I paid for a repair and am entitled to be able to use it in confidence for a reasonable period of time without failure. I also think I am entitled to not have to rely on Nikon's vague "test of some of our lenses" that do the same thing. I was�prompted to send off my D600 to Nikon as I was experiencing repeated gunk on�the top left of the sensor and the shutter mechanism seemed to be at fault.�I first uploaded sample images to Nikon and then after acknowledgement�posted the body to them and also uploaded copies of my proof of purchase and�Warranty card. “I have received your proof of purchase and have been investigating your�warranty details further.�Unfortunately as your camera was purchased from Amazon market place and our�records show that we sold the camera to a high street retailer, your camera�would technically not have a manufacturing guarantee as it would be classed�as a second hand purchase. I’m currently awaiting the repaired camera back from Nikon, but this�experience has left me somewhat bemused. �Prior to purchase I was aware of�“grey import” issues and so deliberately chose a UK seller and�additionally chose Amazon to try ans ensure my rights were protected. �And�yet I am left in a situation where in Nikon’s eyes I am second hand�purchaser and thus any warranty is invalid being non-transferrable. I bought a D80 + 70-300 VR in May 2008 (four years ago) and never registered it. Since then, I've purchased the D7000+grip and a bunch of lenses. Feb 15: I sent off my package. The package was received by Nikon on the morning of Feb 17. Feb 27: unexpectedly, UPS delievered my lens back! It's working great, as though it was brand new AND it even looks like they cleaned up some of the dust from the inside! My well-loved D90 had a problem with the power. I would turn it off, but the light on the back would keep blinking, and it would eat up batteries. In the beginning, little tweaks would get it to turn off all the way, but within a few months, the only way I could keep my batteries from being eaten up was by taking the batteries out. In addition, the year before, the plastic on the back right of the camera had just fallen off -- it was a very hot week, and that's the only thing I can think of that might have made that happen. My camera came back much sooner than expected (I was without it for under two weeks), looking great. The packaging was a little beaten up, but the camera was safe inside it. They did the repairs, and cleaned it, and it works great. The really strange thing, however, is that they billed me when I sent in the camera, but when it came back, they refunded the money. My camera was long past warranty. I have no idea why they refunded it. But somehow I came out of this with a repaired camera that was returned sooner than expected (saving me rental fees -- I really needed a camera for an upcoming event) AND it was free. Reading through your report of the new Nikkor 80-400G lens I would like to add my experience to this fine lens. I got one of the first which was delivered in Switzerland. I used it in the field and got the impression that the left hand side is less sharp then the rest of the lens. So I did some dedicated test with different focus length and different apertures. The first impression was confirmed by these tests photos. I took the lens to the Nikon Service Center nearby Zurich and explained my problem. I left the lens with the camera at Nikon. After one week I could get the lens back. �I did the same tests at home with the same results. Nikon did not do very much, replaced the camera lens receptacle and adjusted something at the bayonet of the lens. I was quite upset and returned within a few days to the Nikon service center and called the head of the repair shop. We discussed the issue and left him again the camera with the lens and some sample pictures. �A few days later I got the email that the camera and lens are ready to be picked up. Since I got a D800 the other day, I decided that after 190,000 shots I should take my D3 in to the local Nikon service centre in Beijing and get it cleaned, including the sensor, and replace the rubberized cover that was coming off. I sat down at the customer counter in their office in Room 307 in East 1 in the Oriental Plaza office building and gave the service guy a list of things I wanted done that I’d had one of my editors write down in Chinese. He went right to work creating the work ticket. Then he told me the total price for the service would be 286 yuan (US$46.60), I was pretty amazed. I was expecting it to be more, much more. My first response was: Holy christ, I was expecting two weeks, not 30 days. Then he wrote down 30 on a piece of paper, and I recovered and realized he’d told me “30 minutes,” which I simply was not mentally prepared to hear. And when I came back, the camera had a new cover, the sensor had been cleaned along with the rest of the beast. And all this not to mention that I used to have to go to near the Beijing West Train Station to do this before, about a two-hour round trip these days in Beijing. Today, it was at the Oriental Plaza about 15 minutes by taxi from my office on a bad-traffic day. From what I read, I don’t see these kinds of experiences being written about with regard to Nikon USA. So in Feb. I sent a 70-200mm f2.8 VRII lens to Nikon a checkup and calibration. Mostly I wanted them to recalibrate the AF as I'd needed a -20 adjustment (on multiple bodies) to get good results and worried that this "solution" just added greater uncertainty as far as accurate autofocus goes at a variety of distances. �I shoot action in dark environments so AF accuracy is critical. �The lens was returned clean and supposedly adjusted (under warranty). �Unfortunately the AF calibration had not changed—I still needed -20 Fine Tuning to get sharp results (on a second body an adjustment of -20 was not quite enough). �I recently resubmitted the lens to Nikon for re-repair and am waiting for it to be returned. In June, I sent a 24-70mm f2.8 lens for a checkup and calibration (it'd been acting up a little). �Prior to submitting the lens, it generally needed a -3 to -6 AF Fine Tuning adjustment. �When it was returned ($400 later--a part was replaced), it looked great, but testing showed that it needed -20 AF Fine Tuning. �I am returning for re-repair. Last month I emailed a Nikon repair story, 3 tries and several months to fix my D800E which couldn't trigger remote flashes. �I wrote too soon because the camera was not fixed. �It was better, but not fixed. After the third repair CLS commander mode only triggered remotes 80% of the time. I sent the camera back a fourth time. �I got back a new D800E. �I hear Nikon has an unofficial policy to replace after three failed repairs. The new D800E works so far. Here are my three other Nikon repair experiences in the past year. Nikon repaired a 16-35mm f/4 that I dropped. �It came back in good working order in reasonable time. Nikon replaced the rubber grip on my three year old D700. �It came back in good working order in reasonable time. My Nikon 1 V1 is a victim of Nikon's "everything or nothing" repair policy. �Nikon won't fix a scratch in a ten cent piece of plastic unless I pay more than the camera is worth to repair unrelated cosmetic damage. The plastic over the eye sensor has a scratch or crack. �The eye sensor sees the crack, thinks my eye is present, and disables the rear screen. �A drop of water can sometimes fill the scratch and make the eye sensor work for a few minutes. �That means the problem is only superficial. I dropped the camera a week after the eye sensor broke. �There is cosmetic damage to the exterior. �The only non-cosmetic damage is a weakened spring in the battery door cover. �The camera works fine except for the eye sensor. Nikon refuses to fix the eye sensor without also repairing the case. Fixing everything would cost over $300. �I could buy a new camera with kit lens for $349. �(Both prices as of end of January, 2013.) �The camera isn't worth $300+ to me. I thought I'd give you some news my experience dealing with Nikon Canada and their spares/repair pricing policy. I sent in an old D200 to get the rubber hand grip replaced and a 17-55 f2.8 �which had a cracked focus viewing window. �(Just want to sell both the camera/lens) �Simple and easy repairs or so I thought. I was quoted �$190 for the rubber grip replacement and $225 for that small piece of plastic !!. But even the Nikon service guy thought the prices were outrageous and offered, without me having to ask, �to do both for $190. If it weren't for him I would be royally pi***ed off. Nikon actually sent me a brand new camera. The left focus isn’t perfect, but it’s much better than the first one I had. I’m not sending this one in because last time they fixed the left focus issue, they returned it with the center focus out slightly. I don’t want to risk that again. The camera I have now is definitely an improvement. On my camera's fourth trip to Nikon for left focus, left focus, severe front focus, severe front focus, Nikon pronounced my camera "within spec" and said my lenses must all be bad. �(All Nikon Pro lenses.). I need to send them all in. I took my bad lenses to the selling dealer and guess what? �The lenses worked fine on their D800. �I took a thumb drive to the dealer and they saw my on camera's images and immediately concurred mine sucked and their camera was fine. So I uploaded the other d800 photos to the Nikon site, and they finally relented and sent me a new camera. They told me they were out of stock and I would have to wait a week, but it arrived the next day. �Two days later they called and said one was on the way. 1) Warranty inspection of Nikon D7000 having high battery drainage. No charge. And, all is well with camera & battery. Serious user error reported. Doh! 2) Was given free new zoom ring rubber grip for an old 16-85mm lens I bought used. 3) Repair by me went astray. I cut off the old rubber grip with Xacto knife, then cleaned the barrel with Iso alcohol on a cotton pad. In the process I removed some double-sided Scotch tape there. I thought it was put there by previous owner. This removal dislodged an inner barrel tube and the lens wouldn't zoom wider than 24mm. 4) Returned to Nikon service with disabled lens (and egg on my face). They explained that the Scotch tape was put there during manufacture. Three hours later I received email to pick up the repaired 16-85mm lens. No charge. Sent in a 301xxxxx serial number D800 with a clear left focus issue. �No issue getting it serviced...B2 level with “Adj Auto Focus Operation” service (as well as other CLN and CKD). �Received it back...first shot with the camera showed a center focus issue, left and right center focus points look ok. I can get the center in focus with a +20, but of course that also adjusts the other points. Now Nikon wants to see pictures...fine, ok. �Hope I don’t get stuck with a dud due to some “that’s within tolerances” story. --Left focus repair 1: �returned unchanged. �I got the "don't send it back because Japan is..."
--Left focus repair 2: �returned with severe front focus. �+20 fine tune helps a lot; not quite enough. Left sensor appears fixed. -- Front focus repair number 3: �Returns with the exact same front focus problem. �Camera focuses about 4 inches short at 3 or 4 feet. �Left is "ok" but now right sensor is a bit off. + 20 required on Nikkor 50mm 1.4; 24-70; 14-24; 105 2.8, 28-300. I have finally figured out what must be happening: �Canon has planted a tech at the Nikon repair facilities. For reference, I am a NPS member, Carbon level with their new scheme (mid-level) which is supposed to guarantee 72h repairs. I am soon leaving to be the head photographer on the 2013 Patagonian Expedition Race and do some additional commercial shooting in Patagonia. At the beginning of January, I had a bit of a lull between shoots, so I used the opportunity to send my workhorse lens, the 16-35 f/4 VR back to Nikon for repairs, since the front element is scratched and it produces a noticeable blurred spot in the centre of the images. I gave them a call on Jan 13th, explaining the issue and saying that I had a flight out on Feb 1st, by which date I absolutely needed the lens back. I also added an old 50 f/1.8 that had sand in the focusing mechanism. They directed me to a web form where I could generate a shipping label for both lenses, and I sent them the package the next day. In the meantime, I shot the 20 f/2.8 for wide shots, and thought there was plenty of time for them to make the repairs and ship the lenses back to me. I didn't hear anything from them for quite a while. After checking the shipping number, they had received my package on Jan 16th. I called several times, but all they could tell me was that they had indeed received the lenses and that they were somewhere in the pipeline. Finally, on Jan 24th, the operator told me that it had been examined and that I would be sent quotes for the repair the next day. She also gave me the customer number which they were supposed to have sent me days ago, with which I could follow the status of my repairs. Of course, the next day, no emails and no quotes. However, during the day, the quotes appeared on the website when I logged in with the customer number. I accepted both of them, and again, no news for a few days. I again called several times, and again they couldn't tell me anything until this morning (Jan 30), when the operator told me they were done with the repair of the 16-35 and would ship it this afternoon. Except that the only way to pay was to give the mailman a check against the package, which is a big issue since I will be out shooting in the mountains in the next two days. They couldn't accept direct payment by credit card or wire transfer. So I find myself in a position where unless I cancel a shoot, I can't get my lens in time before leaving for 6 weeks in Patagonia. This was despite telling them of my deadline a dozen times and notifying them that I was part of the NPS (in the letter, over the phone, on the web form and through stickers on the lenses). They have never talked about lending me a replacement lens for my needs either. The only good thing I have to say is that after making clear I was pissed on twitter earlier today, their press service/twitter intern got in touch with me and asked details, then tried to find a lens to lend me, eventually failing since I was traveling for so long. Short version: It took three attempts and 13 weeks for Nikon to make the flash on my D800E work properly. Long version: On June 16, 2012 I bought a new D800E. In late June I discovered it did not reliably trigger remote flashes (CLS). �The details aren't important here, except they were not the same as a problem discussed around the internet. I delayed service so I could take the D800 on vacation. �At the end of my trip I started getting "Err" in the top LCD when activating the aperture (DoF preview or shooting). On September 13, 2012 I mailed the camera from Massachusetts to Nikon's New York address. On September 18 I got an email saying the camera was in their system. The web site showed warranty repair, no charge. �A letter with the same information arrived a couple days later. I checked status almost every day from then on. �On days I didn't check, nothing changed. On September 29 the status changed to re-estimate. �Nikon claimed water damage and it would be a ~$200 repair instead of free. �(B1 or B2) I was suspicious of the diagnosis, but $200 wasn't worth a fight. More specifically, the status was re-estimate September 19. �By my understanding that means Nikon decided to charge me on September 19 but didn't update their records until September 29. I never received an email or a letter informing me of the change. I had to check for myself. I approved the estimate via the web page the same day. On October 10 status was unchanged so I called to check. �Nikon had no record of my approval. �I gave payment information by phone. Three failures on their part so far: late update of online status, no email or letter notification of change, and their computers lost my payment info. On October 12 my camera was back in shop. On October 25 (+/- 1 day) I called for a status update. �I was told my camera would be shipped the following Tuesday, October 30. On October 29 a hurricane hit Long Island. On November 2 I called again. �It was their "first full day" with power restored and they had a backlog. On November 5, 2012 the camera arrived via next day air, 7 1/2 weeks after I mailed it. �Excusing a few days for the hurricane and discounting time in transit, they had my camera for 6 weeks. CLS still did not work. On November 6 I bought a 5D Mark III. I called Nikon service. �The person on the phone checked the record and agreed I had reported a broken flash but the repair work did not include the flash. On November 29 I mailed the camera back to Nikon. �The work list was the flash problem and replace lost vertical grip cover. On December 21 I received the camera. �The flash still didn't work. �The grip cover was still missing. On December 24 I took the camera to the store where I bought it. I demonstrated the flash problem and explained that Nikon had twice failed to repair it. �The store sent the camera back to Nikon and said they would escalate if needed. On January 10, 2013 the store called me to say my camera was back. On January 11 I picked it up. CLS finally worked. I thought I might mention that my first D800 went back to Nikon for AF tweaking in September 2011. I still purchased a second D800 body (in September 2012) and it is flawless. There's a big margin in the serial numbers. I would just like you to know that NPS Australia (and particularly their GM, Robert Lindsay) were fantastic. They/he asked that I package the body and ALL of lenses I use on that body, not just the new ones (so this includes lenses I have owned for thirty or more years) and they/he organised a courier collection that afternoon. That was a Wednesday and all my gear was returned on the following Monday, everything cleaned (my old lenses looked brand new, inside and out) and every lens checked on that body. Nikon did indeed make adjustments to the AF sensor and there are no AF Fine Tune changes on the body. All this and no charge, not even for the freight either way... and that was a huge 15kg parcel! If it wasn’t so sad, it would be funny. I wanted to get my PC-E 24mm f/3.5D modified so that tilt and shift operate in the same plane or parallel. Went to Nikon’s website to fill out a repair tag and that lens isn’t listed. Both the 45mm and 85mm are. So I call Nikon and the technician doesn’t know what the lens is and thinks it’s a teleconverter. Getting past his lack of knowledge, he says to select “other lens” in the drop down list. Of course that means I didn’t get a repair estimate on line but that’s ok.
By contrast, two months ago I purchased a used Micro Nikkor 70mm-180mm f/4.5-5.6 from KEH Camera. There used equipment has a 6 month warranty. While the lens works very well, I found that the zoom ring would bind a slightly when rotated with two fingers. If I grasped the ring very lightly it doesn’t bind. Not knowing if this could be a potential long term problem, I emailed KEH service describing the situation thinking maybe a simple cleaning would resolve the problem and I offered to pay for the cleaning. They got back to me the following day and said I should return it so they can check it out and provided me with a free FedEx ground shipping label and specific instructions on how to fill out there on-line repair form. Yesterday I called the Nikon authorized repair facility in Sacramento, CA (that’s close to the bay area). They didn’t want to even look at the 70-180mm even for a cleaning because they said it’s old and parts probably aren’t available. It appears that neither Nikon or their authorized repair stations are interested in helping customers. The shutter failed in my Nikon D3 last weekend while shooting a wedding in the Hamptons (I'm Atlanta-based). So I sent it off to Nikon last Tuesday via FedEx. They got it on Thursday morning, inspected it and estimated the repair within two hours ($420). I paid online late on Thursday night. It was in the shop on Friday and shipped on Monday. I got it today (Thursday). 2 days in house and 7 business days total. It arrived with a replaced shutter, replaced LCD window (which I did not ask for, but it was fogging), replaced rubber throughout, replaced card cover, and a full clean and check. I just had my D7000 repaired by Nikon to fix a back focusing problem. �It took me a year and 25,000 shots to notice that there was definitely a camera fault. Only recently had I started shooting my kids playing rugby and soccer. �Then the problem became very obvious. �I was shooting with the 70-300VR wide open which is far less forgiving than the above two midrange zooms. �It may be the case that the AF problem was more obvious because I was shooting dynamic subjects, that is, a combination of back focus errors plus focus tracking errors. �On my test shots with static subjects I was still finding consistent back focus errors but not to the same degree as with dynamic subjects. �A test rig for repeatable dynamic test shots is beyond my means. I shipped the body to Nikon after they agreed that my test shots showed an AF problem. �It was a week out of warranty so I wrote a letter pleading my case. �Fortunately they covered the repair and return shipping at no charge. �The whole process took 5 weeks. �Of that 1 week was for shipping to Nikon and back to me. �I queried the long delay with Nikon customer support because the online status checker showed the body was in the shop for 1 week and then the status changed to “Bill” for the next 3 weeks. �I was told that the body was being thoroughly tested prior to shipping. �I don’t know what they fixed. �I had a repair code B2 (moderate repair, major parts replaced). �The body serial number is 3128xxx. I can only call my repair experience horrible. �Damaged front element of 24-70. �Was told it would be week to repair, took 6 weeks. �At no time was I ever updated about the repair time frame. �People on the phone had no idea what was happening, are in another country and don't even know the product. �Was billed more then the estimate. �I shocked how bad their service was. �I have been shooting professionally for years and never needed to repair a camera guess I was lucky.